We all know it -and fear it- the presence of fat on the upper neck or under the chin, commonly known as (the dreaded) double-chin. Pockets of fat can be genetic, and can form despite weight or healthy eating. This contributes to an older and heavier overall look, and nobody wants that! Recently FDA-approved Kybella is a new way to treat it. Made up of a naturally-occurring molecule, the treatment consists of a series of small injections to destroy the fat cells and tighten the neck. 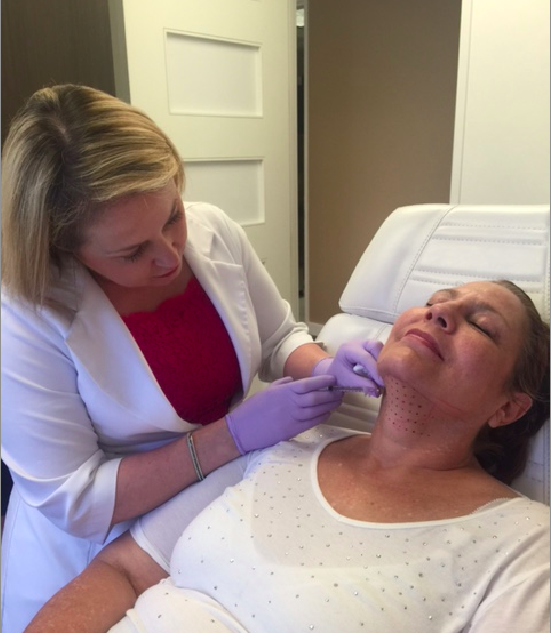 Dr. Quenby Erickson demonstrates the Kybella injection for the sub-mental fat – aka the dreaded double-chin. Why is everyone talking about Kybella? 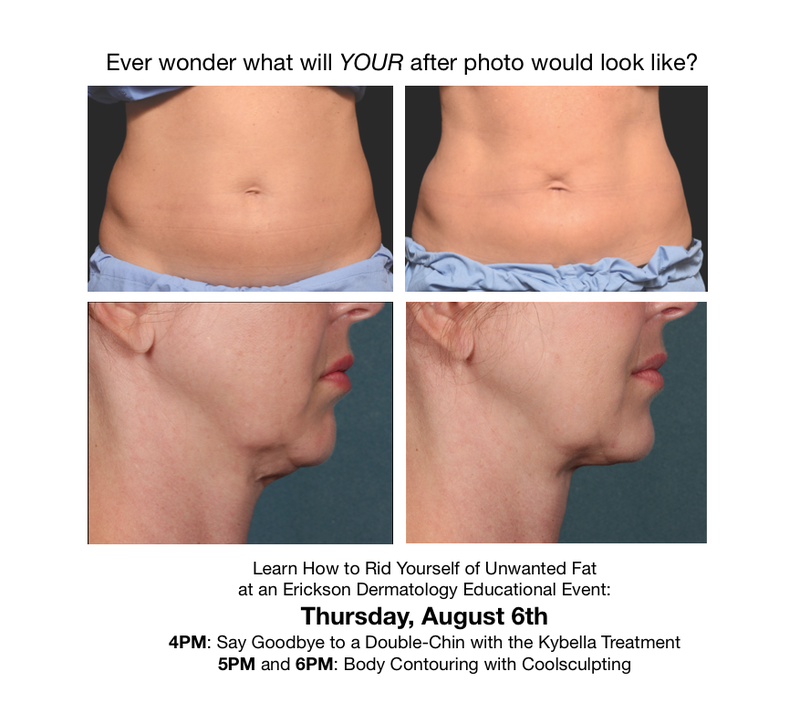 Who is Kybella good for? But if the fat is dissolved (essentially ’emptied out’) from a double chin, would that cause any loose skin? “In general, we’re not appreciating a loose skin issue with Kybella. Of course, in the case that a patient comes in with predominantly more of a loose skin issue, we’d need to do some tightening,” says Dr. Erickson. Double chins of the world beware!